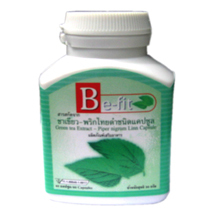 Be-fit Herbal Slimming capsules. Our own magical mix for herbal slimming and feeling better at the same time. Be-fit Herbal Slimming capsules are a mix of Green tea extract and Piper Nigrum Linn extract. Q: How old it can be uses? 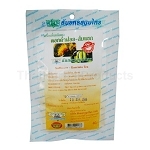 A: We advise an age of 18 years old to use Be-Fit Green Tea and Black Pepper slimming capsules from Thanyaporn for slimming. Q: For how many years old csn be use? Q: whats the propotion of ingredients in the capsule? Q: Can i use alcohol if ima taking the capsules ?